Christmas is just around the corner, 90 days to go in fact, and we cannot wait for you to get excited about our popular Christmas tricycles. Summer is fading away into our rear-view mirrors, the winter wardrobes are getting finally getting some use and the temperature is slowly dropping. But fear not, we have the perfect combination of food and drinks tricycles that can warm the heart and put smiles on the faces of all. 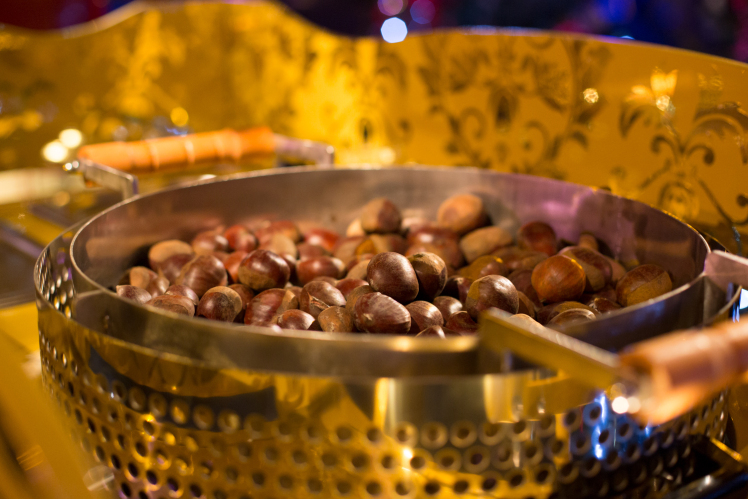 What we are really trying to promote this year is our mulled wine and roasted chestnuts tricycles. Both were introduced last year and were extremely popular, so why not let more people know all about them? 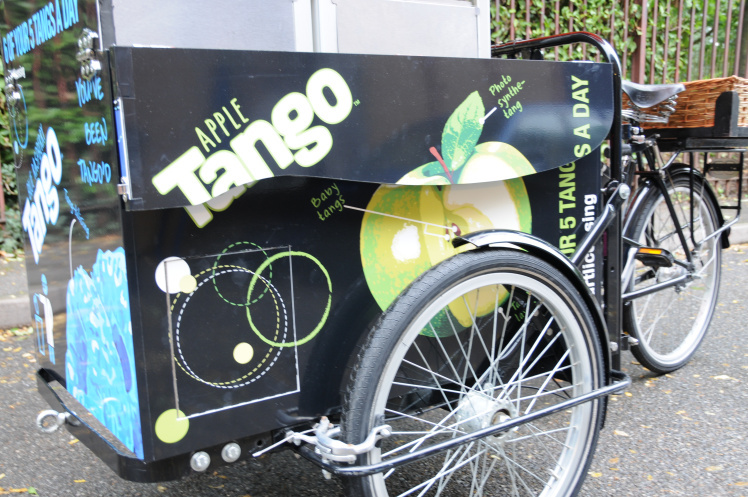 Our mulled wine tricycle is garnished with oranges and severed piping hot, to really get rid of those winter chills. The oranges really bring the flavours to life and some of the reviews we received last year make us really excited for all upcoming mulled wine events. Roasted chestnuts are London classics which I am sure you have all smelled and most have at least tasted when walking along the Embankment. We want to bring that taste and smell right to your events. 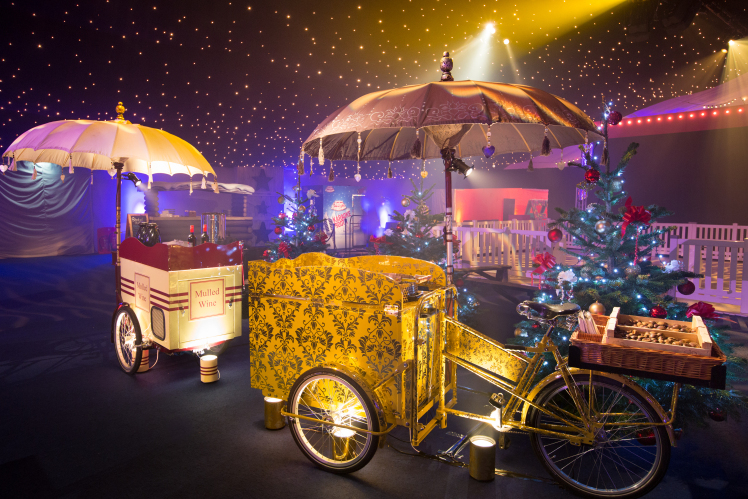 Being served off the gold tricycle (as seen at the Square Meal Venue and Events trade show) it really does give that festive feel. And it doesn’t just end there, we also offer roasted caramelised nuts which are perfect for all events. Imagine the rich aroma these tricycles would give off. It would be something special indeed. Our luxury Swiss hot chocolate are definitely guest favourites. With some even labelling it the best hot chocolate they’ve ever tasted. Its smooth texture provides that perfect balance between milk and chocolate with the variety toppings just adding to the exquisite taste. Who doesn’t like marshmallows and cream with their hot chocolate? 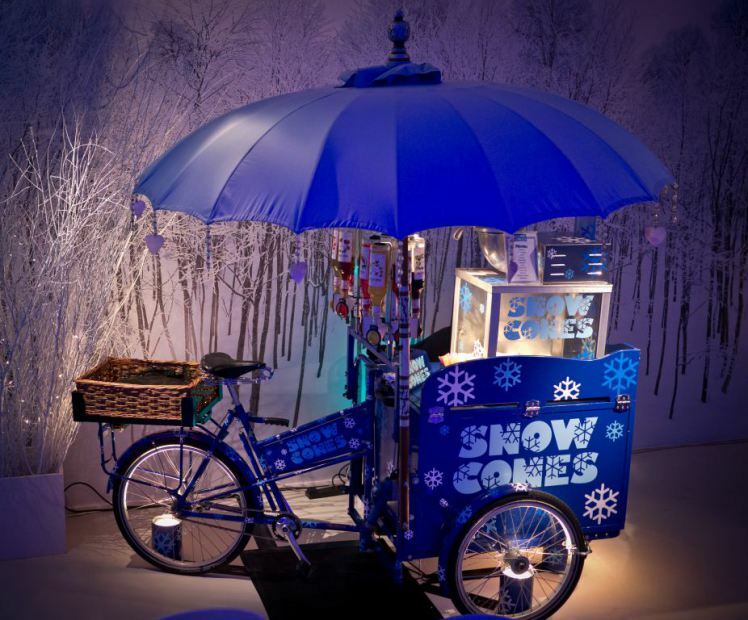 Now my personal favourite our snow cones tricycle. Shaved snow created write in front of your eyes to create a real snow cone. You are able to choose from over 70 different flavours to top off your snowcones satisfying all guests I’m sure. And if you really want, you can add some vodka, to give the snowcones that alcoholic twist. My favourite flavour is mango and I would highly recommend that! Something slightly different from our tricycles is our ski blizzard or ski simulator. We’ve recently upgraded it to be a four player platform so even more of people can participate. 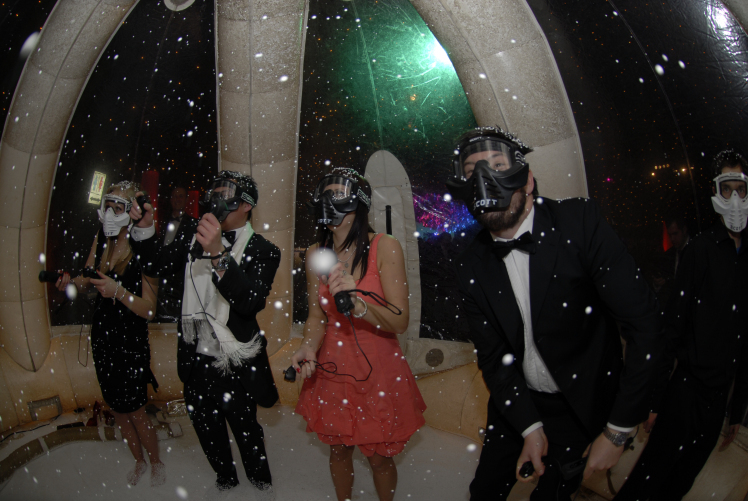 With fake snow swirling around your head, immerse yourself in this great experience. The inflatable dome is lit with uplighters the colours of which can be changed to fit a theme of your choice. To round up our popular Christmas collection is our Winter Pimm’s tricycle. Warm Pimm’s with spiced apple juice really is something that everyone needs to try at least once in their lives! Garnished with apples and oranges the explosion of flavours that you are sure to experience will change your life. 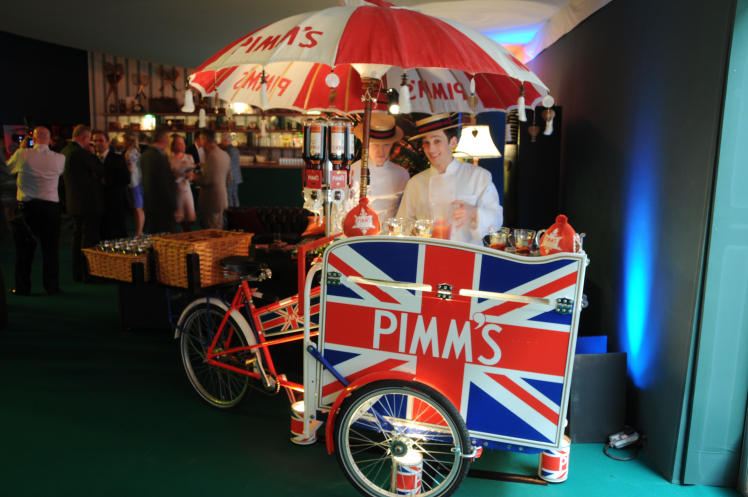 Winter Pimm’s is perfect for those evening drinks receptions and winter weddings. But of course this is only a handful of our 21 tricycles and you are not restricted to these tricycles in the slightest! 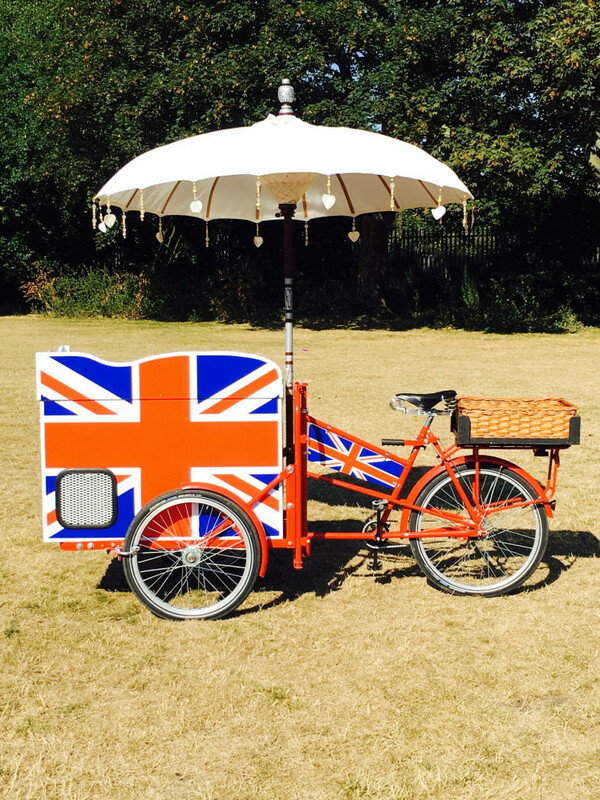 We also offer a bespoke service so if you have any suggestions for what you would like to be served off one of our tricycles we will try our best to accommodate. We can’t wait for all of your Christmas events! Happy Friday, well sort of, the rain is back and I guess that could finally be the end of our extended summer. Sad face 🙁 But we all knew it was coming and it’s time to prepare ourselves for those winter months. Last week we had we had the opportunity to welcome Latresha for work experience. Where she would learn about the ins and outs of an events company. Below are details of Latresha’s week written by her, as one of her tasks whilst she was at Ideas Box. “On my first day I was able to help clean the tricycles that had been used at a weekend event to understand the operational side of an event business. Especially in a small business where everyone has to muck in. I was also able to visit a venue, where an event I would be working on Friday was taking place. This allowed me to communicate with other members of staff and give them key information like lift sizes. Finally I went to visit the graphic designers to experience all about the branded tricycles. 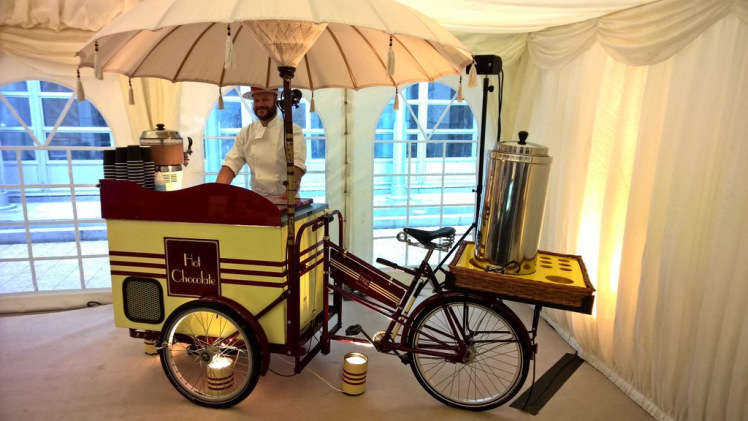 On Tuesday Harvey (company director) took me to set up an event with the ice cream tricycle which was amazing. It taught me teamwork and that many hands make a job easier and more manageable. After leaving the event I returned to the office to help create job sheets, which informs the people working the event about operating the events. Which was interesting as it showed how organised you all have to be to make an event run smoothly. On my third day I was mainly shadowing Emma who is the sales assistant intern for this year. She showed me how to create invoices, booking forms and menus. This allowed me to see another side of the business, how the events get booked and created before being put into operation. To round off the week, I got the chance to go to an event and helped operate the Hot Dogs Tricycle. This was a great learning experience as I got full interaction with clients. Overall it was a busy but rewarding day, which will surely help me in the future. Latresha was a great team player and each of us here at Ideas Box wish her all the best for the future. In further news we will be attending the Square Meal Venue and Events trade show on Wednesday and Thursday (21st and 22nd) next week, where we are looking forward to meeting some great people! Hope to see you there! 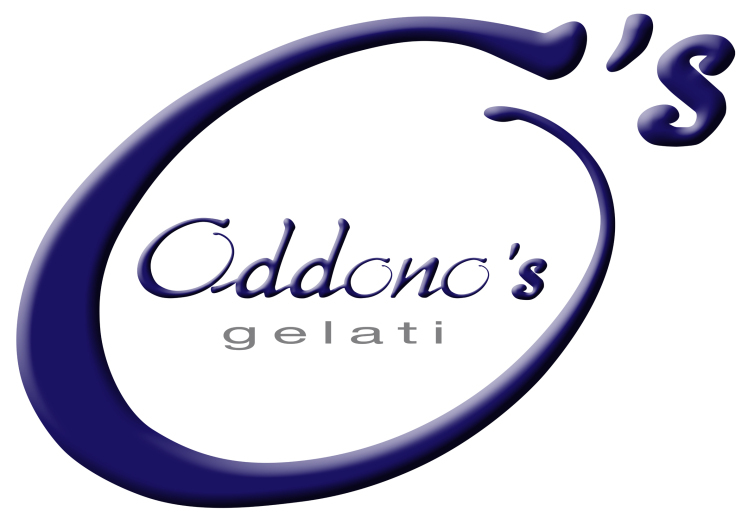 We have teamed up with Oddono’s Gelati to provide amazing ice cream across all of our ice cream tricycles. Oddono’s are an award winning company who make fresh natural gelato and with a whole host of amazing flavours (over 130 to be precise) you will not be disappointed in the slightest. I am in full support of their tag line: Life’s too short to eat bad ice cream! With 5 stores across London amazing ice cream is surely just around the corner! Best ice cream in London! No question! Another change, well more of an addition in fact, we have added to our ice cream tricycle collection! 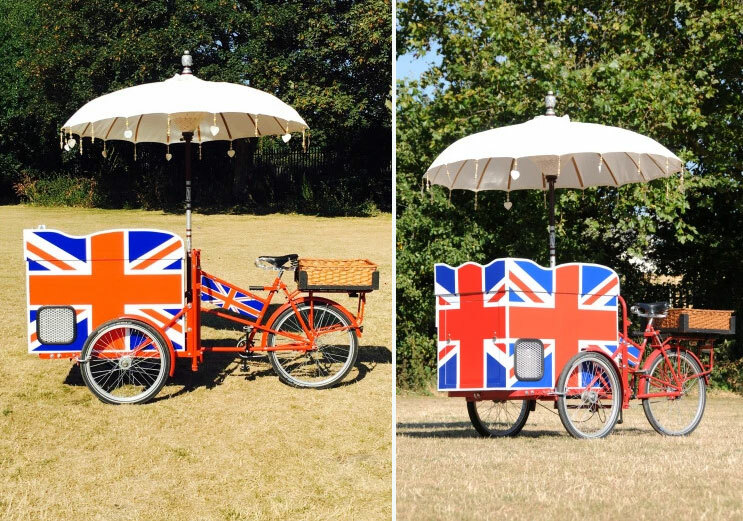 Following on from our two 1930’s, one 1960’s and a blue and white ice cream tricycles the union flag ice cream tricycle is sure to be a crowd pleaser! Taking our collection to five, meaning we can provide even more ice cream and satisfy even more guests and clients. Like what you see? Head on over to our contact page and get in touch. Finally we have had a work experience student join us over the previous week and hopefully she will be sharing her experience working with us tomorrow, with her own blog post. We all really hope she has enjoyed the experience and has learnt a lot.